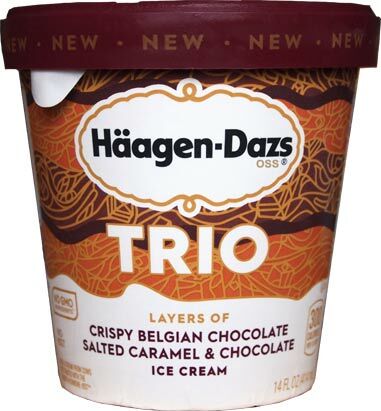 [New for early 2017] It's time to investigate the second Trio flavor I found. I thought the triple chocolate version was neat but not mindblowing, but let's see how caramel switches things up. Again the chocolate layer does not appear at the top. They must be able to precisely control that chocolate layer so that they can turn it off before they reach the top. I dig in to the top layer to get a sense of the ice cream itself. It's a nice blend that has a caramel finish that's not too salty. I forgot that Marvo had wanted me to slice one of the Trio pints open (in the name of science ofcourse!). The actual chocolate seems to get pretty thin in the middle so you can't really see it. Now you can see the chocolate! Overall I am enjoying this one more than the trip choc version. The caramel is much more of a team player than the white chocolate was. Plus, the caramel is the strongest part of the aftertaste, giving it a nice finish. 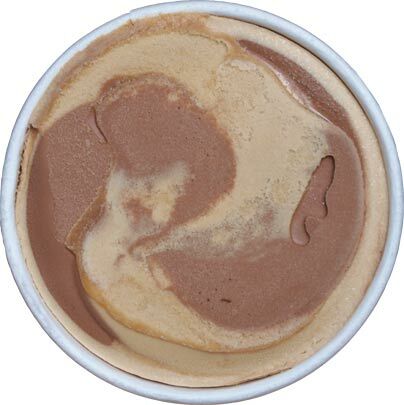 Overall The flavor is pretty uniform despite the fact that it's a swirl flavor. 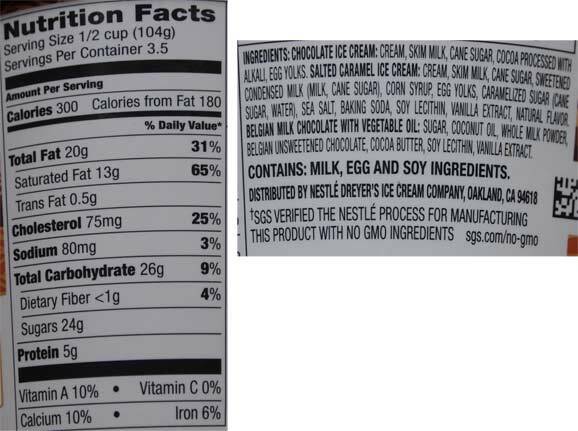 I will point out that yet again I did expect the actual chocolate swirl to be a bit more important to the overall flavor profile. It's a neat trick that adds a neat crunch/texture to everything, but I would like the chocolate to coat my taste buds more. On Second Scoop: I really like this flavor, it just has this nice uniform flavor that just clicks with my tastebuds. 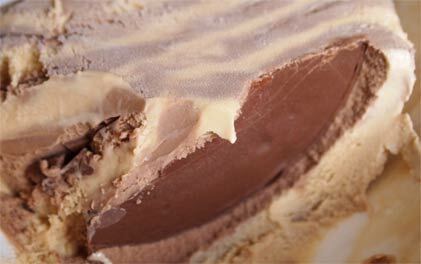 The crunch of the chocolate layers adds a fun factor but it's not like the chocolate tries to dominate in any way. This will never be confused for a candy bar but it came together really well and I look forward to finding the last two flavors. I am a big fan of the Trio line. This is a good flavor, but blackberry is my personal favorite. searching for that one now! I'm kind of hoping I continue my trend of every one that I try is better than the last. Honestly I didn't like this one. But I may not like Belgian chocolate. or maybe just didnt jive with the way the two ice creams balanced out? 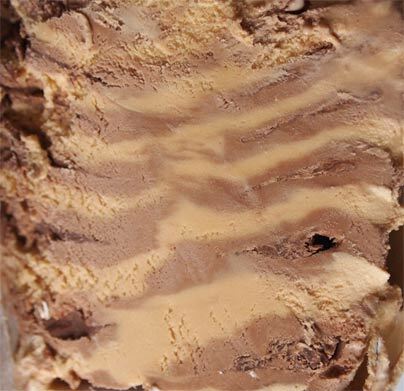 are you a fan of caramel ice cream in general? yes i love caramel. I just ate in one sitting B&J's Urban Bourbon (burnt caramel ice cream with almonds, fudge flakes, and a bourbon caramel swirl.). I don't like HG's chocolate flavors in general.